As we head into our third straight month of record-low temperatures and snowfall, I find myself torn between my love of the stillness and beauty of winter, and my yearning for the warmth and new growth of spring. I gravitate to soups, herbal teas, cozy blankets, and slippers to take the chill out of my body, and bundle up in warm coats, scarves, and hats to brave the elements. These things attend to the physical needs and survival of my body during the cold season, but I turn to the warming and uplifting qualities of essential oils to support the needs of both my body and soul during the darker and colder days. My muscles contract and shiver in response to the cold; add on the fact that I tend toward a decrease of activity in the winter, and I feel tension and aches begin to settle into my muscles and bones. The essential oils of cinnamon, clove, eucalyptus, and ravensara are all deep and penetrating oils that have a warming, soothing effect on the muscles, and they dive deep to nurture the bones as well. These benefits are magnified by anti-viral and anti-bacterial properties to help protect us against the onslaught of cold and flu. Having some of the germ fighting properties I previously spoke about, the essential oils of neroli, orange, tangerine, and lemon are only a few of the oils from the citrus family that I find have both an uplifting and joyful effect on my soul and mood. While they may not be as warming to the tissues as the oils I referred to previously, they give me an experience of the sun on my face and the smells of new growth, which gives me the patience to wait for the warmth of spring. 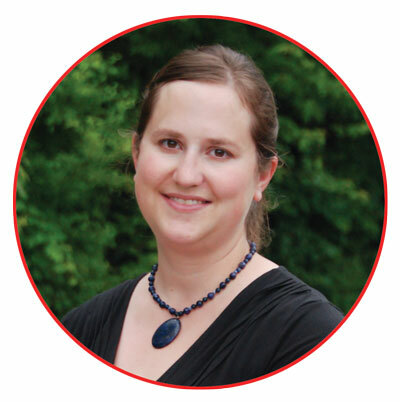 Julie Peale owns Body Balance of Ann Arbor, L.L.C., where she practices a combination of Hellerwork and structural medicine in one-on-one sessions with clients. Body Balance is located at 708 W. Huron Street, Suite 3, Ann Arbor 48103. Contact Julie at julie@bodybalance4u.net or at (734) 395-6776. We interviewed Julie in our January- April 2014 issue. You can read that interview here. I’ve quite frankly found it pretty challenging to routinely bend to the gifts of quiet time. Not being much for coffee, cigarettes, or wine, it seemed I even missed the American rituals that build in a pause. I found a pause recently, though, in a gift from a wise friend. A modern, clear, silicon hot water bottle. So handsome in its simplicity, just fill with boiling water. Then retire, cradling the hot little pillow. And let the heat creep across, from silicon to bones. Nothing one can do to rush a hot water bottle. No dial to crank up. But there is something about a capable hot water bottle that encourages sighs of release. An unwinding. A melding. I am encouraged and inspired by the number of adults enrolling in ballet who have never studied before, or may have only had a year or two of lessons. A common thread among these different personalities seems to be a “beginner mind set”, an openness to trying something new, willingness to persist as difficulties arise and the sense of satisfaction that comes from finally getting it. Posted on February 27, 2014 by Julie Peale and filed under Healing, Health and Wellness, Winter 2014 Issue, Alternative Medicine, Naturopathy and tagged Julie Peale Essential Oils Spring Healing Winter aromatherapy.